I found out about UNS from the internet. I searched it on Google, and the first information I knew is that it is a university in Indonesia. 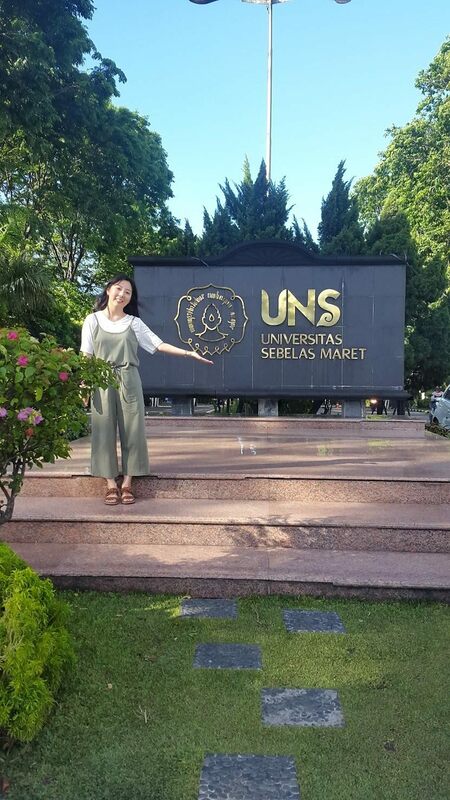 I was interested in UNS because it provides a course in which we can learn Bahasa Indonesia. Therefore, I can learn to speak Bahasa Indonesia more fluently and fast. In addition, I heard that Solo is a really good place to live. It is not really crowded, the people are nice and kind, the culture is unique, and the food, which is dominated by sweet taste, is good. It is good to live here.